How great would it be if doctors actually prescribed retail therapy when something’s ailing us? Alas, Western medicine doesn’t consider fashion to be a valid form of treatment. (For proof, just look at the potato sack that is a hospital gown.) But when it comes to Ayurveda—a 5,000-year-old holistic healing tradition that originated in India—it’s a different story. At least, that’s the case when it comes to jewelry, which is believed to be a potent tool for keeping your mind and bod aligned. Here’s the deal: Per Ayurveda, everyone has a certain mind-body constitution, made up of a combination of three doshas. Your dominant dosha reflects everything from your sleep patterns to your skin health to your stress response. If you’re generally healthy, it’s a sign that your doshas are balanced. But if you’re dealing with health issues? Well, that’s a sign that your energy skews too far in one direction—airy Vata, fiery Pitta, or earthy Kapha. If you’re a Vata, says McCann, your most energetically aligned stones include aquamarine, ruby, garnet, yellow sapphire, emerald, topaz, and onyx. Emerald and aquamarine are also harmonious stones for Pitta types, as are amethyst, blue sapphire, pearl, diamonds, moonstone, and opal. And Kaphas should seek out ruby, garnet, blue sapphire, or cat’s eye, McCann says. But that’s only the beginning. According to McCann, if you work with a Vedic astrologer, Ayurvedic practitioner, or crystal healer, they can “prescribe” you a specific piece of jewelry (down to the metal) and place to wear it. “The right side of the body is our divine masculine side, so if a person feels tired and wants to increase their energy and vitality, they would wear ruby or garnet on their left hand or wrist,” McCann explains. (Makes sense, given that red stones are the color of fire.) She goes on to say that the left side of the body is the receptive, divine feminine side. So if you want to work on your listening skills, you could wear a cool blue stone, like lapis lazuli, on your left hand or wrist. But that’s advanced jewelry styling. For 101-level technique, just focus on finding a stone you love. 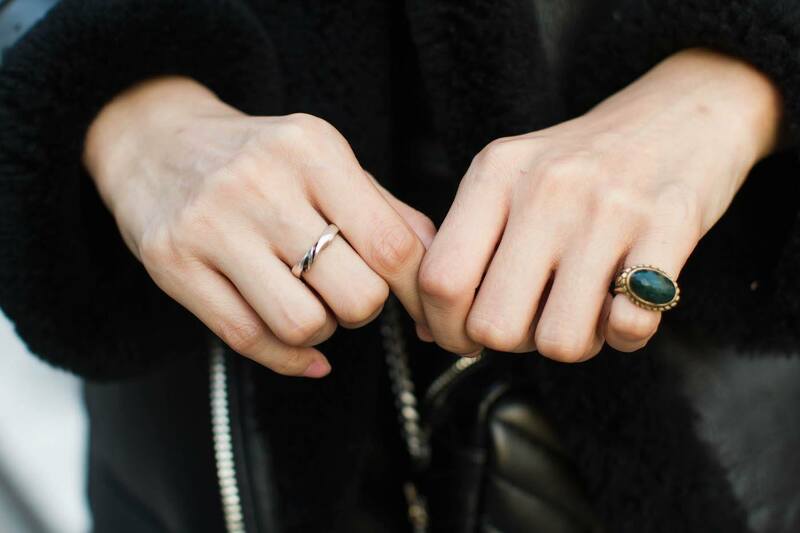 “In my personal work with clients, the most important thing is working with the crystal or gemstone that carries the right vibration for you,” she says. Because a sparkly something-something that makes your heart beat faster is always going to make you feel better when you look at it, no? These high-vibe jewelry stores are a great place to start searching for your perfect piece—and if you’re in the market for something a little fancier, check out these priceless fine jewelry shopping tips.